I got the fabric on a trip to the Philippines a couple of years ago and then just this year, I picked up the 1930's belt buckle in Herman Brown, one of my local vintage stores. I'm often on the lookout for vintage belt buckles and have been known to create entire sewing projects around them! 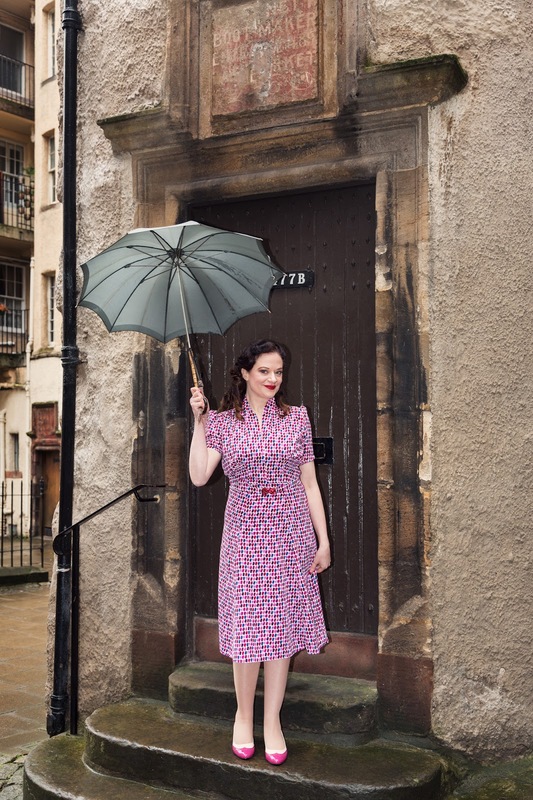 Edinburgh has had quite a cool introduction to spring--lots of April showers so far! A perfect opportunity for vintage umbrellas (this one from another local vintage haunt--Carnivale Vintage). In terms of construction, the dress was quite quick the second time around and this fabric was a dream to sew. I really like the simple front with the high neckline (but only on the sides) and the gathers below the bust with a simple flared skirt. I still want to make this pattern with the long sleeves as well! 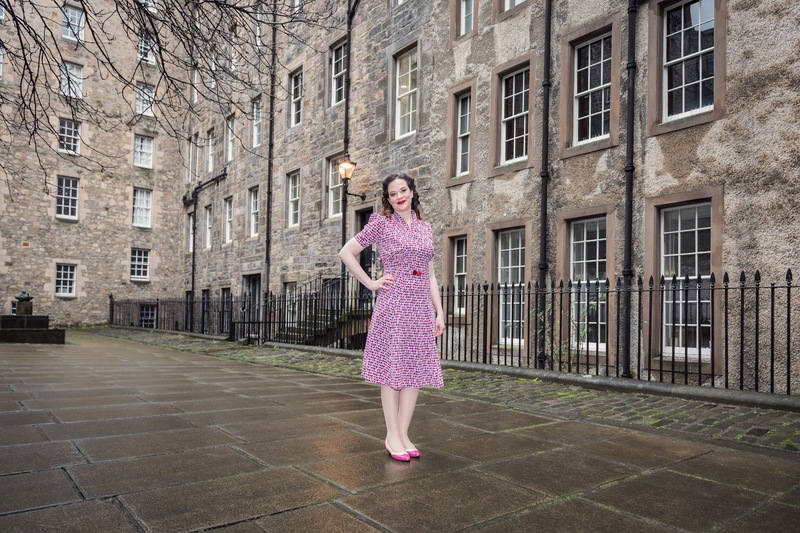 I have a thing for pink--so have lots of it in my wardrobe, which is great because this dress matched my seamed What Katie Did stockings and my Bait footwear shoes (by the way, shoes is another thing I've been known to build sewing projects around! hahaha). Oh, look...my regular jacket (by local company Ness) is also hot pink! hahaha. PERFECT!! I just love how this whole ensemble came together :) I have lots more (hot) pink fabric in my stash--and am feeling a bit inspired for spring! 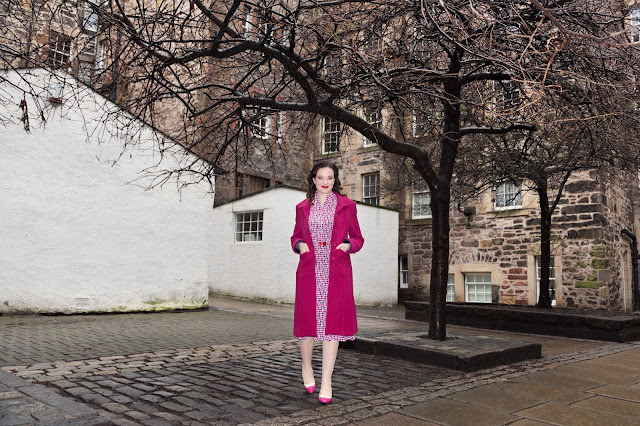 I don't know about you but I just love spring colours (and also autumn colours for those in the southern hemisphere)--there's something about the change in the seasons that is so much fun for plotting and planning sewing projects! What about you? 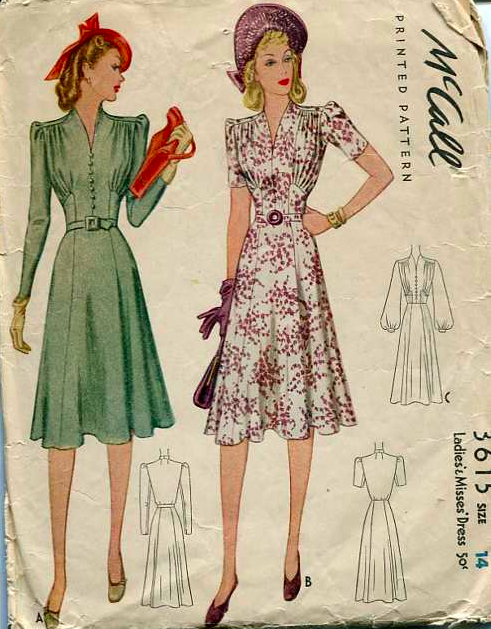 Any fun spring/autumn projects in the sewing queue? 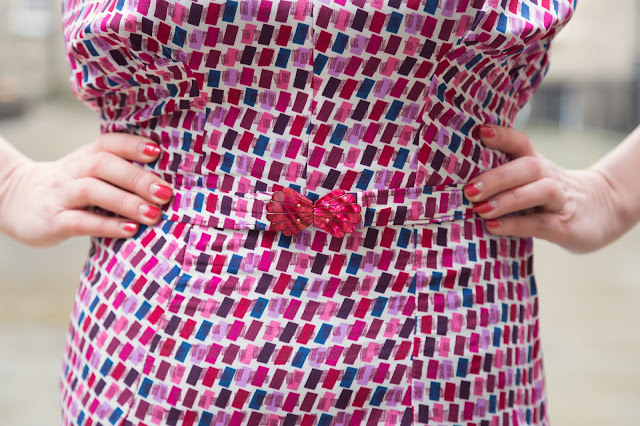 A very pretty and cheerful dress. And pink and white spectators -- WOW!